Stress is a part of our daily life. In reality anything can be a source of stress. You can’t get away with. Stress has to be dealt with properly to avoid health problems. And the worst thing is that you can’t buy any over-the-counter medicine that can actually relieve stress in the long term. However you yourself can minimize its effect through stress management and self-control. What is it that makes a person stressed? Is it his finances, bills, works, schedules or his environment? All of them can become the source of stress. But there are also some sources of stress that are not too obvious like being worried on meeting some expectations or finishing the task on time. 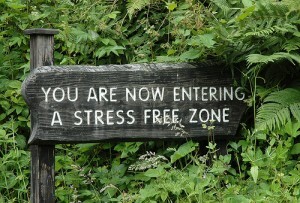 According to some researchers, the true sources of stress points back to your attitude, habits, excuses and decisions. Until you are able to accept your obligations in your positions, stress will remain out of your control. Here are the five reasons why people stress and the ways to overcome them: by changing the situation and changing your reaction. 1. The Stressor. You can change the situation by avoiding things that are potentially stressful. Although not all sources of stress are avoidable, it would be helpful for you to stay away from things that could trigger stress as much as possible. If you cannot handle a situation, like when you’re with somebody, limit the amount of time you spend with him. 2. The Situation. If you cannot change the situation, you try to alter it. Figure it out what you can do to make these things not to happen again in the future and change the way you communicate the stressor. Approach and express your feelings in an open way. Sometimes, you just have to compromise. If both of you are willing to change, you have the great job of building a happy ground for a good relationship with others. 3. Your standards and expectations. It can be difficult to change the stressor. But you can change yourself instead. Be at the stressor’s level and adjust your standards. One of the major sources of stress is perfectionism. Avoid setting up high standards. Instead, set reasonable standard s which others could cope up with and learn to accept. 4. The things that happen are unchangeable. In this case, it is the attitude that matters most. You have to learn to accept things you cannot change. Never try to handle situations that are clearly out of your control, such as serious diseases, death of our loved one, natural calamities, accidents, etc. However, you can get over these unmanageable stressors by accepting the reality of life. Looking forward for positive thoughts and share your feelings to the trust worthy person and accept the fact that we are living in the world of imperfection. 5. Your environment. Workplaces for instance make us stressed especially if you have colleagues as your stressors. Stay calm and composed. If watching terrible news makes you anxious turn off the TV. If you’re not comfortable going out to the market (or if you have agoraphobia) you can shop online. 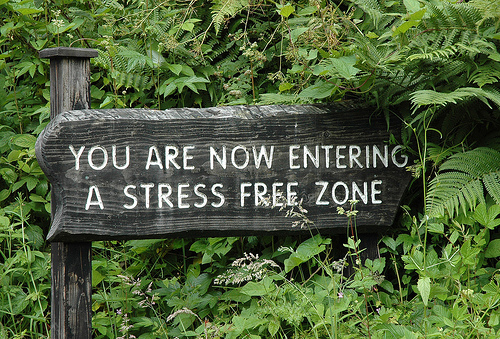 You can also cope with stress if you manage your time well. Time management plays a vital role in having a well balance work life. Manage your time for work, fun and relaxation. Learn to spend time together with your family or friends to energize and recharge yourself from those busy working days even if you have a hectic schedule. Share a good laugh with the company or if not, you can watch hilarious movies. Laughter helps your body’s ability to fight the effects of stress. Keep a positive outlook and your sense of humor alive.